Can you share S180y Zyxel modem image? I dont see before time. Now lastest TTNET_ZYXEL name TurkTelekom_Z???? and TurkTelekom_Z???? use only s160y and s170y. I see. You are correct. Let's ask Paynight. Maybe He can add to on his list list. Wireless site survey Field Engineer is a unique and Best Freelance site for Telecom Engineers and professionals. By helping telecom field engineers and businesses. Anyway the default wifi passwords for the routers are the mac addresses this includes the login pages to gain access to settings. 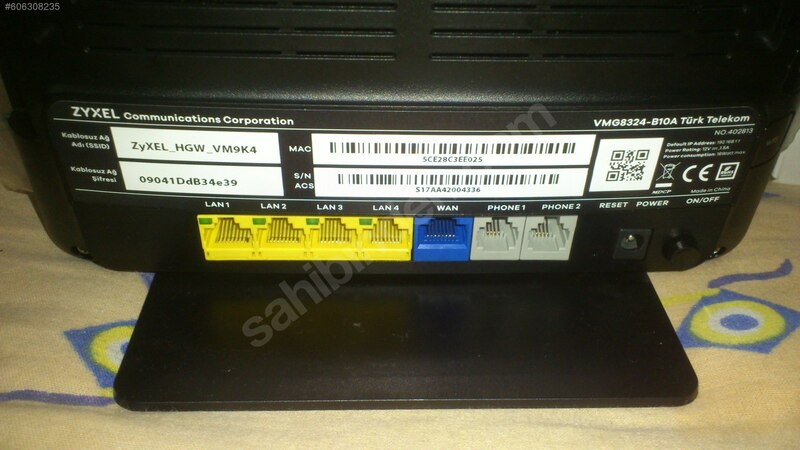 Also if you factory reset any of their equipment either by the reset button on the router itself or via the software after logging in it messes the box up completely and requires you to either send the router back to CIK in the mail or pay a shaw technician $100 for the visit. You can change the passwords for wifi access and for access to the application from their defaults, but I think that users may be less encouraged to do so after getting the lecture on not factory resetting their routers just in case they screw something up and cause a $100 extra charge to have it fixed. I think that this practice is extremely bad as most people won't notice that the mac address is the password even once they see it. I only noticed after quite some time and was running netcat or something similar and happened to notice. I did mention this to CIK but I have found that only by making this information public knowledge through forums like this do companies take steps to change practices like this which can jeopardize the security of the customers that pay their living. for all of u that ask me in PM. turkish company that used TTNET_ZYXEL now use another router from TPlink where the name should be TurkTelekom_Txxxx from my understanding . i have attached the extracted firmware for u to reverse it. I got this handshake with the ssid named "7WO41YBM", it doesnt look like a custom name to me, so does anyone happen to know what the default keyspace would happen to be? can i found defaul password wifi for Technicolor TIM-25382690 ?